For us women over 60, finding the best blush that we can use to give our face a nice bit of color is so very important. Out of all of the different makeup that us older ladies use, blush or rouge or blusher is the part that finishes our face off and really completes the picture, the cherry on the cake if you like to call it that. Unfortunately for us, not all blushes are created equal and there are so many different options out there nowadays that finding the right one can be a very expensive and time consuming task. Through this post I aim to provide information and advice based on my research and experience to help identify and choose the best blush for women over 60 like you and I. What Type Of Blush Should I Use? Pretty much all women wear blush of some kind as part of their face makeup, but which type of blush is best for each person? Powder blush, cream blush, stick blush, gel blush, tint blush or even just lipstick, the choices are wide and varied. At the end of the day the best blush for you is a personal choice, but there are a few guidelines that can help make it easier to decide what will help make you look your best. For those of us with lines in our faces, the powder blushes will often sit in those lines and draw attention to them. Often a powder blush will also highlight any rough patches of skin on our face. The powder can dry out our skin and soften any glow that we might have. Powder can sometimes cling to fine facial hairs and make them more obvious. Powder blush is easy to apply. Most people are comfortable with being able to get a good finish and even distribution of color. There are many choices available and it is easy to find exactly the color we like. It is easy to touch up on the run. I think the best powder blush for women over 60 is the Bare Minerals Blush Highlighter. Bare Escentuals is a company renowned for good quality beauty products and the blush that they make is no exception. It goes on smoothly, is easy to blend and a little goes a long way. There are lots of great colors and they are not glittery at all, which is important to me. If you like powder blush then I think you should definitely try this one. You also need to make sure you use a good brush to apply the blush. 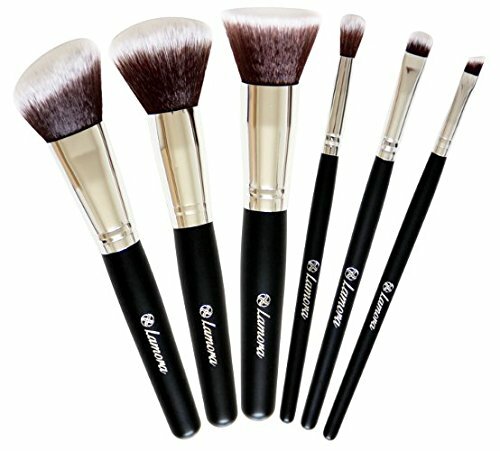 I suggest getting a set that you can pop in your bag when you go out to help with any touch ups you need, there are plenty of these around but make sure you get some decent quality ones, or trust me you’ll be frustrated with them. 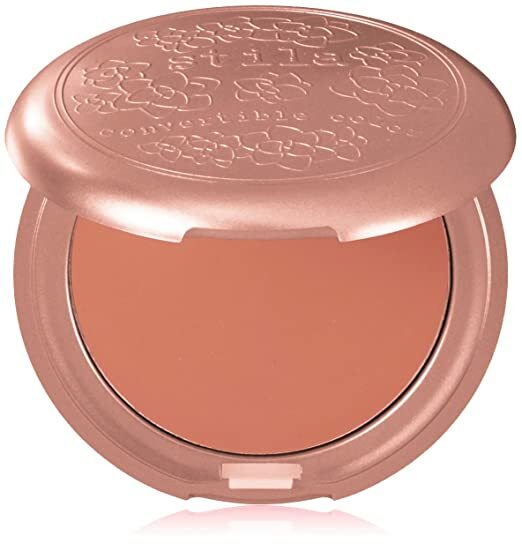 Cream blushes are a good alternative to powder blushes for those who are confident with applying them. There are some advantages and also some disadvantages when considering the use of cream based blushes, so they may not be for everyone. However each lady’s circumstances are different and in my opinion cream blushes are definitely worth trying out. Cream blush needs to be blended well as the color is more concentrated and if it is not blended well you can end up looking like a circus clown. If you have deep wrinkles then cream blush can crease. 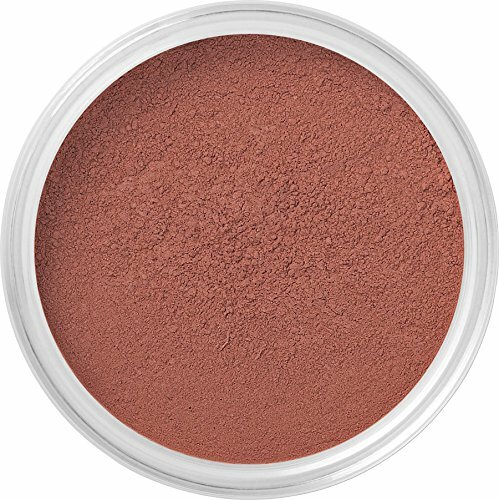 Cream blush is great for older women with dry skin as it adds moisture to the skin. You don’t need to use a makeup brush so it is easy to apply or touch up when you are out and about. Generally speaking a cream blusher will last for a long time and you can usually get away without touching it up if you are careful. I mainly use powder blush myself but I do sometimes use a cream blush and the only reason I first ventured away from my tried and trusted powder rouges was the Stila Convertible Color Dual Lip and Cheek Cream. 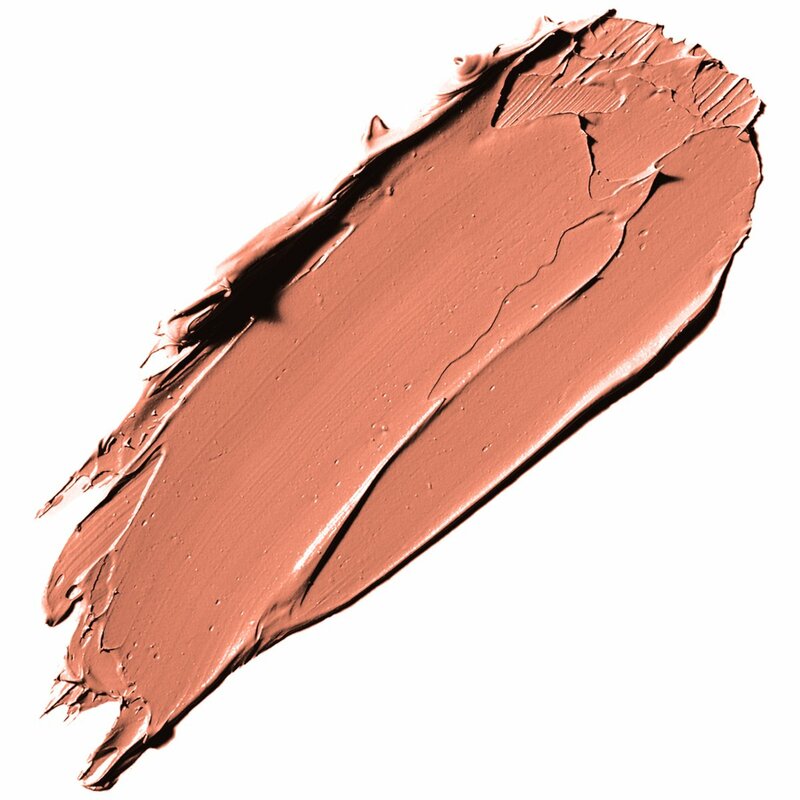 I think it’s important for your lips to match your cheeks and have always struggled with this. Sometimes I used to put a dab of the lipstick I was wearing onto my cheeks but then I discovered the Stila Dual Color and was instantly a huge fan. Like all cream blushers you have to blend it properly but this product has a nice even consistency and I find it fairly easy to apply. The colors are great and I love that I am guaranteed to have the same shade on my lips and cheeks. Another really handy type of blush to carry with you is the cream blush that comes in a stick form. This stuff is the same as cream blush so has the same advantages and disadvantages, however the stick form of it makes it a bit more convenient. I think these are great as most of them are designed to be used on both the lips and the face, great to take out with you to keep your handbag a bit lighter. 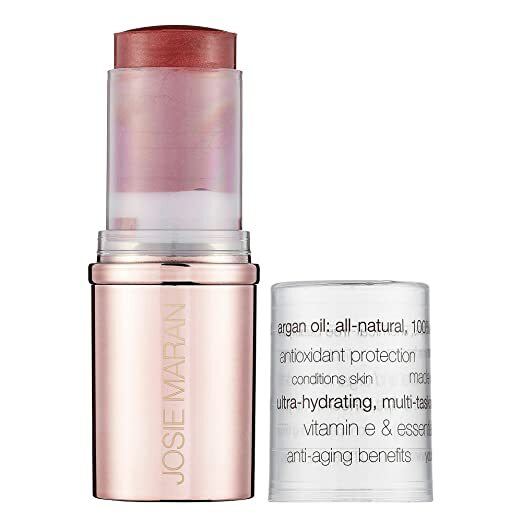 When it comes to stick blusher, I think the best one is the Josie Maran Argan Color Stick. The Argan oil is really good for your skin and takes the place of a bunch of synthetic ingredients that you would usually find in other products. There are lots of nice colors available, it goes on smoothly and lasts a long time. Of all the cream blushers you can get, this one is my favorite. Smile at yourself in the mirror to help you find the apples of your cheeks. Apply the blush to the apples. Less is more! You can always put more on but taking it off can make a real mess of your face and if you put too much liquid blush on you are better off washing your whole face and starting again. When you’re using a brush, apply in one direction only. Don’t go in circles or back and forth as it can look streaky and also it is bad for the brush. I love cosmetics and Make up this article is great for the women who wear a little to no make up at all for the older woman who doesn’t want to look like she just caked it on. 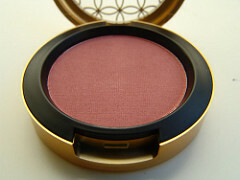 it has many different blushes that is right for your skin tone and also the type of rushes to use and a how to video. love it this will help a lot of woman. For many years, my mother has only been using powder blush on her face. It’s very interesting that you stated that powder blush can actually make wrinkles more obvious. I noticed the area around the side of her eyes does seem a little bit more obvious after she applies her blush. However, she’s been doing it for many years so I doubt she can get herself into another type of product any time soon. Her skin is oily type anyway, so I think it should be alright since the powder blush can help dry it up a bit. As for my wife, she also uses powder blush, but she is always willing to try anything. I will have her check out your “stick” blush which is basically a cream blush on a stick. I am assuming it’s like a lipstick, except creamier. She likes trying new things so I am sure she will be open minded about it. Thanks Bill, your mother and wife are lucky to have a man like you in their lives!